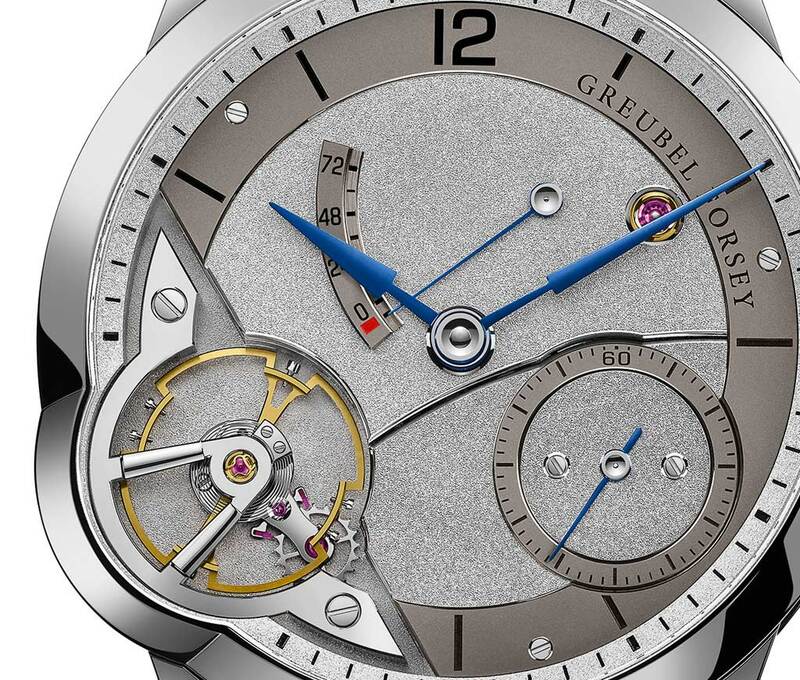 After developing highly complicated watches like the Double Tourbillon 30°, the Quadruple Tourbillon, the Tourbillon 24 Secondes or, more recently, the Grande Sonnerie, Robert Greubel and Stephen Forsey challenged themselves with the creation of a timepiece which becomes particularly remarkable for being able to represent the unique inventiveness of Greubel Forsey while featuring a ‘simple’ balance wheel. 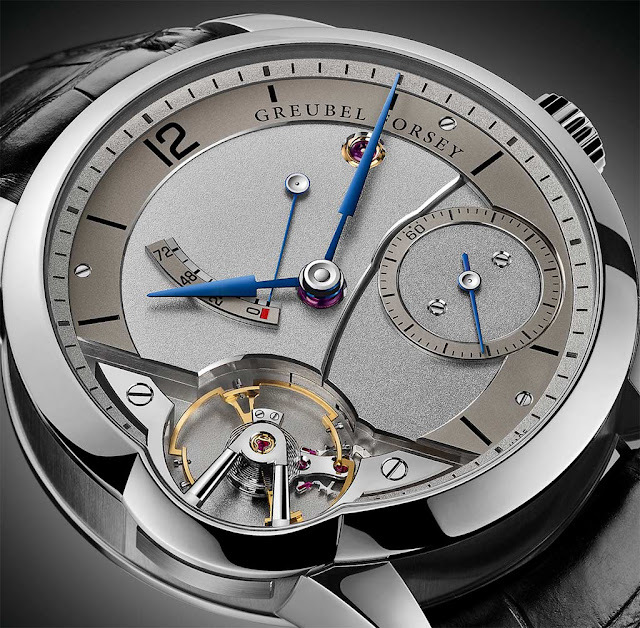 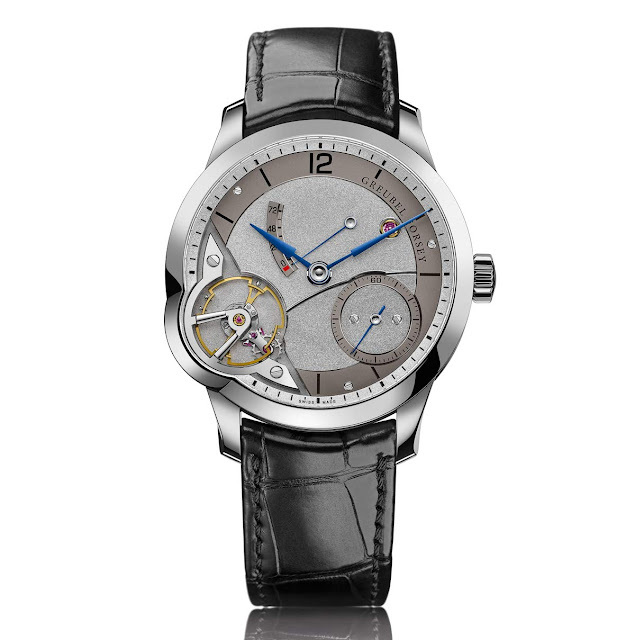 The design codes of the brand are evident in the new Greubel Forsey Balancier, first of all the asymmetry of the case, almost a constant in their timepieces. 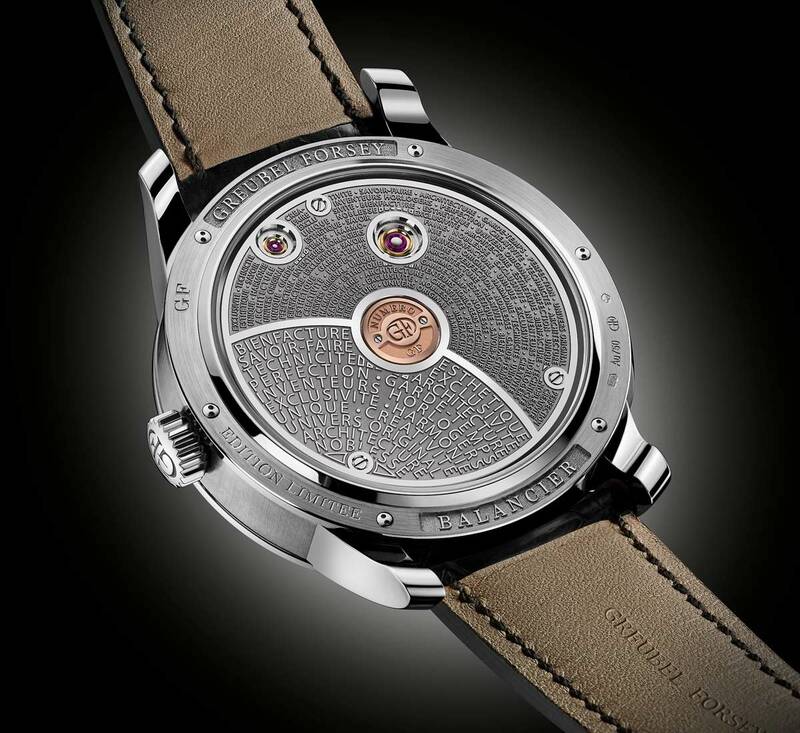 Other recognizable details are its sharp lines, the architecture of the balance wheel, the profile of the hour and minute hands and, finally, the engraving on the reverse of the timepiece. 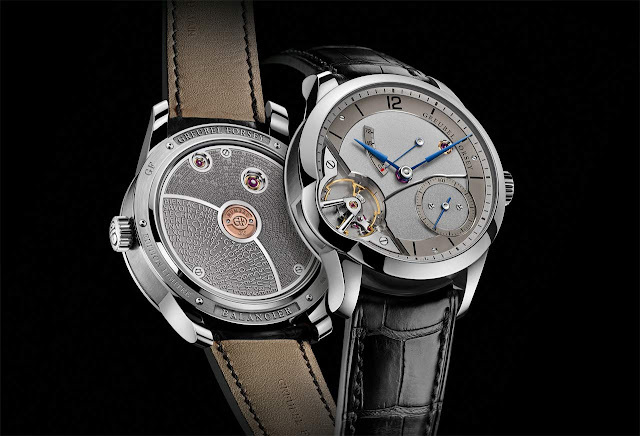 The new balance wheel was entirely developed and made at the Atelier, with its six gold mean-time screws and special aerodynamic qualities developed to enhance the generation of regulating power, hence improving chronometric stability. 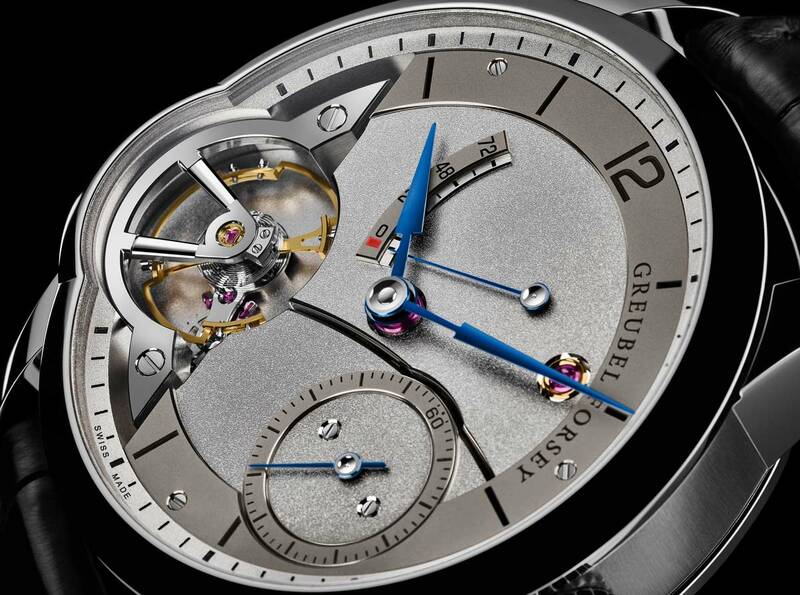 The hand-executed barrel-polishing, bevelling and finishing of the balance wheel bridge leaves no doubts on the exceptional Haute Horlogerie and workmanship standards which guide the creation of all Greubel Forsey timepieces. 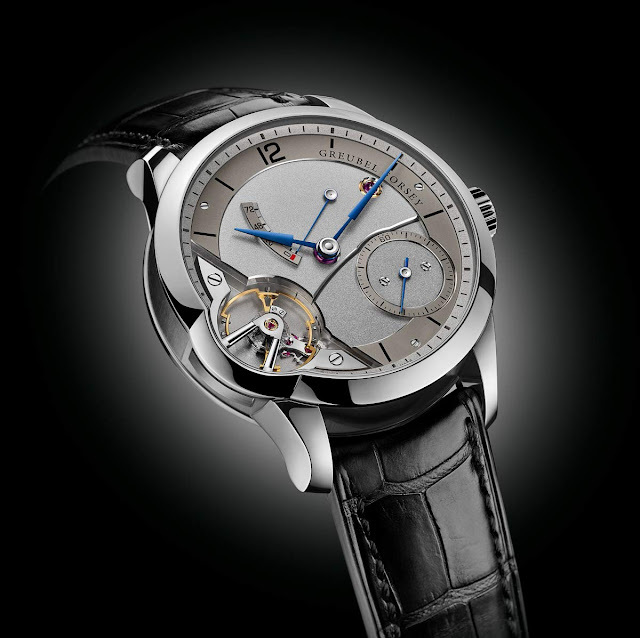 The hand-countersunk and polished centres of the flame-blued steel hands offer another example of mastery in the craft, just like the engraved gold plates on the back. Beating at 21,600 vibrations per hour, the 269-part hand-wound movement offers an autonomy of 72 hours thanks to the two series-coupled fast rotating barrels, one of which is equipped with a slipping spring to avoid excess tension.